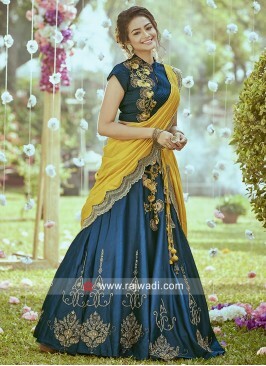 A gorgeous Dark Purple Silk Lehenga Choli features colorful floral embroidery will create a perfect bridal look. 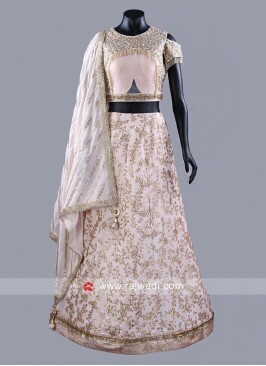 Contrast Net embellished dupatta adorned with golden border. 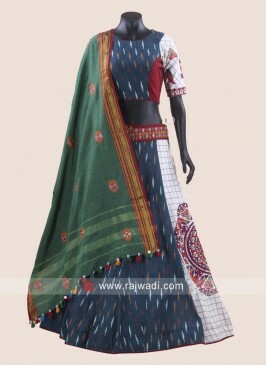 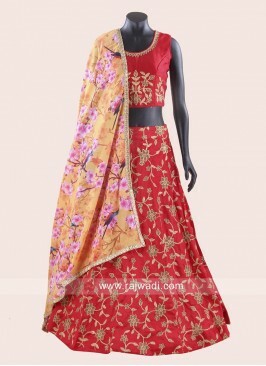 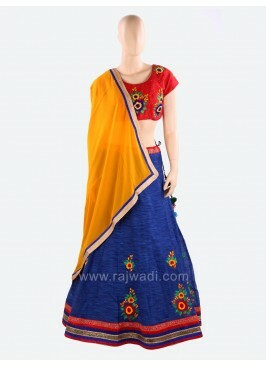 This lovely Lehenga Choli is a wonderful outfit for any women. 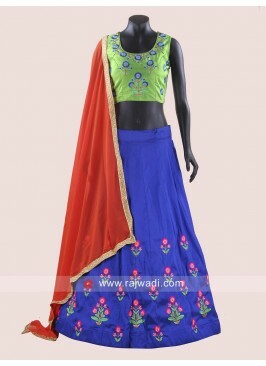 Raw Silk and Brocade Wedd..
Patch Work Silk Lehenga S.. 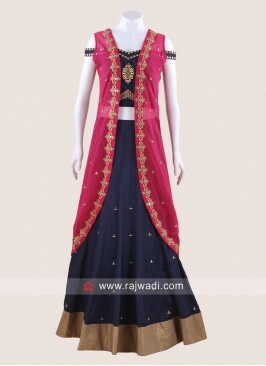 Dark Navy Blue Choli Suit..